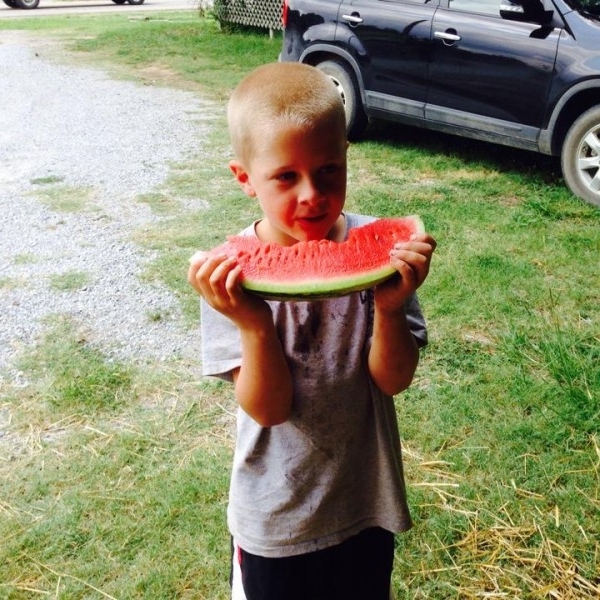 Our watermelon growers work hard all year long to produce "The World's Sweetest" watermelons! They proudly stand behind every melon they sell. Only genuine Cave City Watermelons have our registered trademark sticker. Brian, Kimberly & Bricen Carter, 870-283-2147. Carter's stand is located on Highway 167, next to Buttercup's Restaurant. Tim Carter: I am a 4th generation watermelon farmer I cannot remember not being around watermelon farming. As a kid, I raised watermelons with my grandpa, Billy Carter. My dad, .Johnny Carter owned and operated Johnny Carter Farms and I helped him until he passed away in 2009. I decided to carry on the tradition and raised my first solo melon crop the next spring. My wife Britney and our 2 sons also help. My oldest son Grayson is 10 and my youngest, John Alan is 6. The melon stand is on Main Street next to Dollar General. The melon farm is on Cold Creek Road. Edwardson's stand is located on Highway 167, directly across from Dollar General. 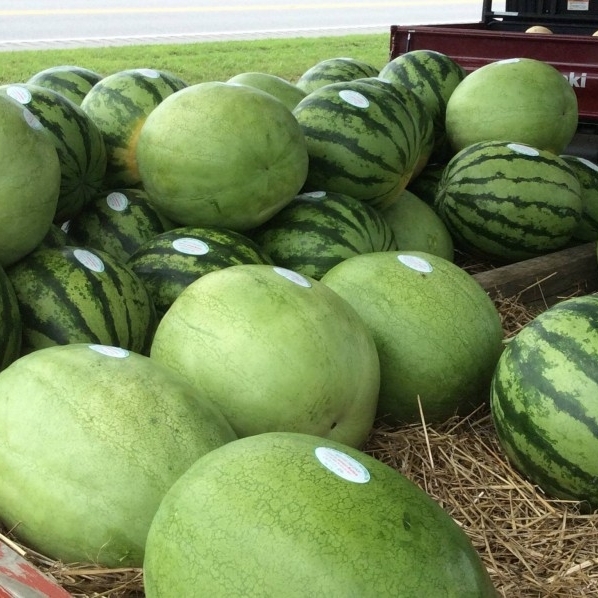 Johnson Brothers Watermelons is a family operated business consisting of Gary & Becky & Phillip & Julie. Brothers, Gary and Phillip are 3rd generation watermelon growers. Johnson Brothers was established in 1976. They are located 2 1/2 miles north of Cave City. Miller's stand is located on the south end of Cave City, just as you come into town. Stand is located at 1424 Hwy. 167 North of Cave City. J.W. & Wendell Perkey Farms 870-283-4395, 870-283-5918. Located 2 miles north of Cave City on Highway 167. Patterson's stand is located in Cave City, across from Double B's. Moore's stand is located on the north end of Cave City.